Fortunately, I discovered that there was a bus that took me almost directly from home to the Pacaembu. Unfortunately, I also discovered that 5.45pm – when my classes finished – is really not the time to be catching buses in São Paulo. In fact, between 5 and 7pm it’s probably best just to avoid the outside world altogether. And after a week or two of staring into armpits whilst stuck on a bus in Avenida Pacaembu’s own carmageddon, one day I decided that walking might be more preferable after all – and most likely quicker and less stressful. The walk down Avenida Pacaembu itself was long though pleasant enough, but as I passed through the tunnel under the Minhocão flyover I arrived at the Viaduto Pacaembu, a bridge that passes over the train lines that lead to Barra Funda Metro station. At the foot of the bridge it quickly became apparent that the pedestrian ‘pathway’ had no railing, was probably no wider than 40cm and slightly curved. However, being the ridiculously self-conscious Brit that I am, the thought of making an abrupt retreat was just as unfathomable as making the crossing itself, and so I pressed on. About halfway across the bridge, as the gusting breeze of a passing bus knocked me off balance for the fourth time, I chastised myself for my pathetically British indecisiveness – by tutting in a particularly vicious passive-aggressive manner. Safely on the other side, all limbs intact, I continued my journey in relative calm until I reached the final stretch and encountered one final obstacle: São Paulo’s Seine-like River Tietê. Here I had to navigate two heaving exit roads bringing traffic to and from the Marginal Tietê (a nine lane riverside highway) and cross a grassy no man’s land in-between. (1) Cross an exit road the grass verge island; (2) Cross from the grass verge island across another exit road to the bridge. After crossing the bridge – which offers stunning views of the eighteen lanes of traffic that hug the river – I played a further two games of cat (car) and mouse (human), before a short while later I reached the safety of home, where, I think it’s fair to say, I was a little unconvinced as to whether the walk would become a regular feature of my commute. (3) Appreciate the views of the Tietê and Marginal; (4) Cross the bridge and repeat steps (1) and (2) on the other side. The above, of course, is a slightly dramatised and anecdotal account of one walk across one part of São Paulo – and towards a less developed one at that. However, I’ve persevered in wandering across most other parts of the city and I don’t feel it’s unfair to say that to be a walker here is almost to be a social pariah. Sure, São Paulo is not the only city which is hostile to pedestrians. But, its immense rate of growth in the twentieth century*, occurring alongside the increased influence of the car industry, seems to have contributed towards creating public spaces that are particularly anti-walker**. Even existing pedestrianised areas are barely ever given a second thought. For example, whilst the city’s roads are, surprise surprise, the responsibility of the prefeitura (council), its pavements are not***. Residents and businesses are responsible for their bit of pavement, with the end result, as I’ve noted previously, varying from plot from to plot and often with comical effect. Less funny though if you are either elderly, disabled, a parent with a buggy or have difficulty with mobility. Granted, neither São Paulo’s topography nor climate are of much assistance to the walker. The oppressive humidity of summer, exacerbated by the city’s pollution, can make walking a rather sweaty workout, especially within one of its many impressively sloped neighbourhoods. Likewise, avoiding flash-floods caused by short-lived fire and brimstone storms can also be quite an experience. All in all I guess this doesn’t really make the idea of walking anywhere in São Paulo, apart from the front door of your apartment to your car, very appealing. This act of walking is an urban affair and in cities that are increasingly hostile to the pedestrian, it inevitably becomes an act of subversion. Walking is seen as contrary to the spirit of the modern city with its promotion of swift circulation and the street-level gaze that walking requires allows one to challenge the official representation of the city by cutting across established routes and exploring those marginal and forgotten areas often overlooked by the city’s inhabitants. Psychogeography, a concept that can be traced back to the Situationists of the 1950s, concerns exploring the relationship between psychology and geography, particularly in relation to urban environments. Walking becomes not only a means of getting from A to B but also of rediscovering what actually lies between A and B. Many people’s day-to-day experiences of São Paulo are dominated by what the novelist Will Self calls “a windscreen-based virtuality”, in which people drive from one privatised space to another (a condominium, workplace, shopping mall) whilst barely paying attention to what lies in-between. Unsurprisingly, it’s often said of São Paulo, even amongst Paulistanos, that the city is ugly and a place tourists should probably avoid. However, I’d consider it more a rough gem, because if you take the time to walk around it and a dig a little deeper you’ll find all sorts of cool stuff to see and do – even those bits you might once have thought ugly. 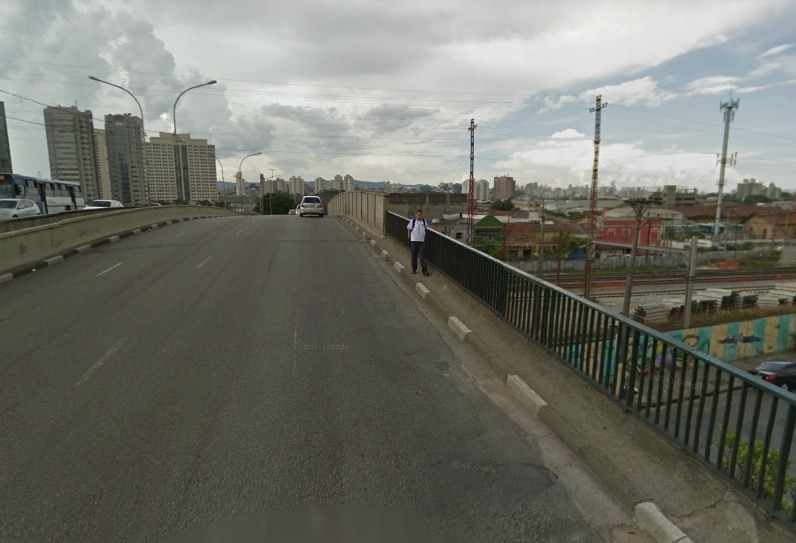 **It was not particularly surprising to discover then that the Viaduto Pacaembu, a project from the 1950s, was built with such little regard for pedestrians – and even less of a surprise that the prefeitura has deemed it impossible to extend it or add a walkway. 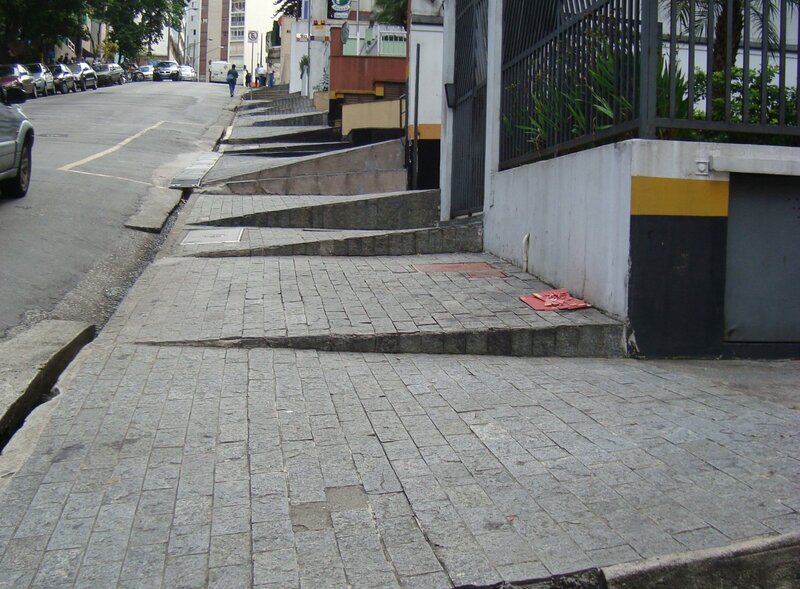 ***Only 3% of the city’s pavements are responsibility of the city.